The relationship between owner and pet is vital to the training process. 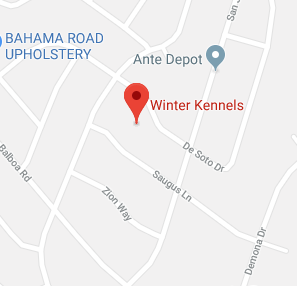 Since 1969, Winter Kennels has been dedicated to ensuring stability of that relationship, so that dog owners in Austin, TX and the surrounding area have the necessary tools to keep their companions safe and obedient. Winter Kennels has over 45 years of experience in numerous areas of training for hunting breeds. 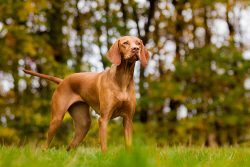 If you’re looking for an establishment that specializes in bird dog training in Austin, TX as one of its areas of expertise, Winter Kennels is the best option for you. We also offer gun dog training, disciplinary coaching for pointers and retrievers, snake avoidance (using non-poisonous reptiles of course) and general obedience instruction. The value of the owner/pet relationship is always at the forefront of our training methods. With each pet that comes through our doors we want to ensure that they are fully prepared for hunting ventures. 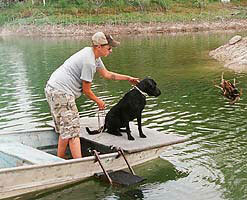 Our former main trainer, Harlen, knew the value of training hunting dogs. He made time to personally train every dog that was brought to him. With more than 46 years of training experience, Harlen was so dedicated to his work that a majority of his canine students went on to win field trials and hunt tests. He knew the importance of owner and pet working as a team to thrive effectively. Harlen has since passed on, leaving his daughter, Cory, to take over training, but we pay homage to him by continuing to uphold his values as we train your pet. 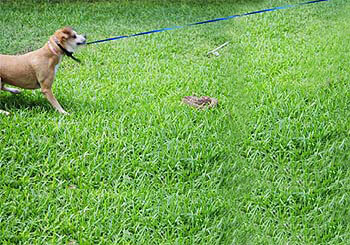 Cory adheres to Harlen’s philosophy to only take on as many dogs as she can personally train. We treat your dog as if it was our own and promise to do our best to enhance their innate skills. We provide boarding for our clients. Winter Kennels can guarantee thorough and competent gun dog training in Austin, TX for your hunting breeds. We teach you, as the owner, what we teach the dogs so that you can polish their skills. We service dog owners in Austin, TX and its surrounding areas. 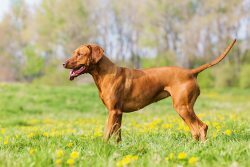 We also breed Labs, German Shorthaired Pointers, Vizslas, and Brittanys. "Great place to take your dog. I took my dog Memphis to get rattlesnake trained about 3 years ago and can say he got the point. Took him bac..."
"Fantastic place. Great on snake training. Also great kennel for my hunting dog. I can't understand why anyone would not get their dog snake ..."
May 13, 2016 Versh H.
"The Winters have saved as many dogs from the often fatal bite of a snake. Our boxer will not attack a rattlesnake or a copperhead." "They trained my Golden Retriever 9 years ago. She's by far the best dog I've ever owned and a large part of that is the discipline learned f..."